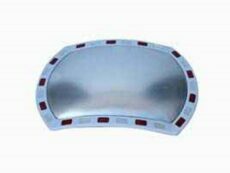 The edge of the lens is red-and-white, so the product is catchy and can alert people from a distance. 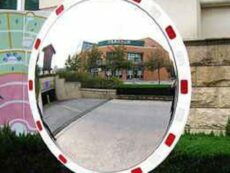 Installed at road corners or community entrances, the product guarantees the safety of pedestrians and drivers. 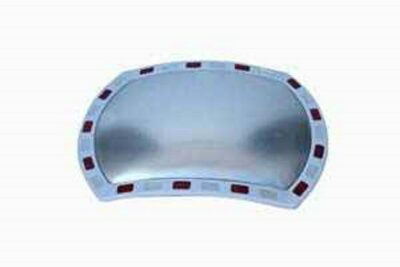 The lens adopts PMMA, and mirror back uses ABS, so our reflective traffic mirror is resistant to shock and corrosion, and it enjoys a long life span.